At first, it may give you a hard time, but organizing your trip in advance can really save you money. The first thing you need to do is to try and determine the amount of money you want to spend on your vacation. If you plan to go and have dinner at expensive restaurants you might select a cheaper place to stay. If your schedule is flexible you may consider traveling during the off-season. It will allow you to avoid crowds and also save you some money when booking a hotel room in the weekend. Be open-minded about when are where you travel, make your research to find out about the hotel location, fees, and amenities. Look for coupons and discounts, because they will really help you save money. Most of the hotels placed in the downtown area cost twice as much as those that are placed just a few miles away. If you are not familiar with the area you can use an online map and find hotels with more reasonable prices. However, selecting a hotel far away from the spots you plan on visiting can result in expensive transportation fares and parking costs. Find out more about the area’s public transportation system and see if you can walk to your desired places from your hotel before you book a room. 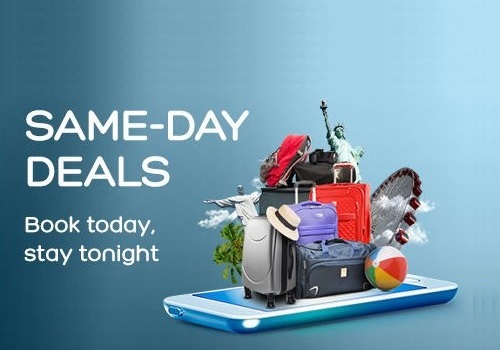 You can get great deals if you choose to stay at the same hotel each time you go on vacation. 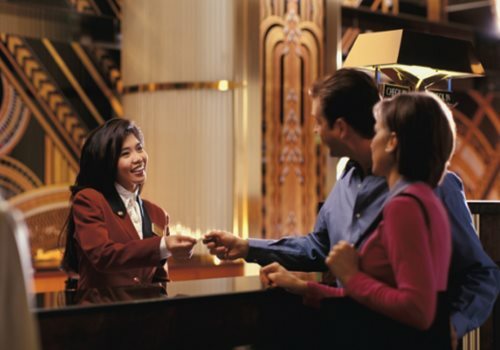 If you visit the same place, you can become familiarized with the managers and reservations personnel. Next time you will book your room do not forget to mention that you have previously stayed at the hotel. They will respect your fidelity and may offer you a better rate or even an upgraded room. A lot of hotels, especially hotel chains, have free rewards programs. You can gather points by booking hotel rooms or shopping at some of the places that are in partnership with the hotel. Once you have all the points, you can get a free hotel stay. Before you make you travel budget you should check what hotel amenities are included. For example, a complimentary breakfast will save you the cost for your morning meal and coffee. A free game room or a fitness center will help you save money on entertainment. Some hotels offer often complimentary drinks at the bar of the hotel or even discounts at the hotel restaurant or spa. One thing is for sure, you should not underestimate these free perks, they can save you serious money. After you see what is included is time to learn more about the hidden costs and fees. Many hotels charge for parking and also for using the phone as well as the internet. You can save money by requesting a free visitor’s guide from the official tourism office of the state, city or region your visiting. The guides usually include coupons or online promotional codes for restaurants or attractions that will definitely make a difference in your pocket. If you did not have time to search for deals before hitting the road, there are still chances of finding a deal. Places that are visited frequently by tourists such as restaurants, stores or gas stations may have coupons for area hotels. These coupons can also be found at airports, bus or train stations, and tourist attractions. After you select the travel dates and hotel to fit your budget, consider calling the hotel to book your room. It is possible to get a better deal or a room upgrade if you call and speak directly with a hotel employee. Looking for Transportation to and From the Hotel? We Can Help! For those of you with no personal connections to Southern California, we provide high-quality transportation to and from the best hotels in the area. If you need transportation from a hotel in San Diego or Temecula, you can sit back and relax knowing that you will arrive safely in a stylish limo. We are known for being always on time and making sure that our customers have a lifetime experience. Call or text us at 858.336.1894 for bookings and quotes!